Chopard, the artisan of emotions, ignites the traditional world of Haute Joaillerie with a scintillating new collection—Chopard Magical Setting. The spectacular radiance of these majestic cluster rings, pendants and earrings is made possible by an ingenious and innovative secret setting that allows the diamonds and precious colored stones to shine supreme, playing with light as never before. In this dynamic retake on one of the noblest and most enduring jewelry classics – the floral cluster – Caroline Scheufele, co-president and artistic director of Chopard, unlocks the intense light and luster deep in the soul of a gemstone and unleashes the full emotional power at the heart of the jewel. With Chopard Magical Setting, she explores light, in all of its many facets: as a universal symbol of the divine, of purity, joy and euphoria, as the essence of seductive glamour, and as the most powerful emotional trigger in a gem or jewel. 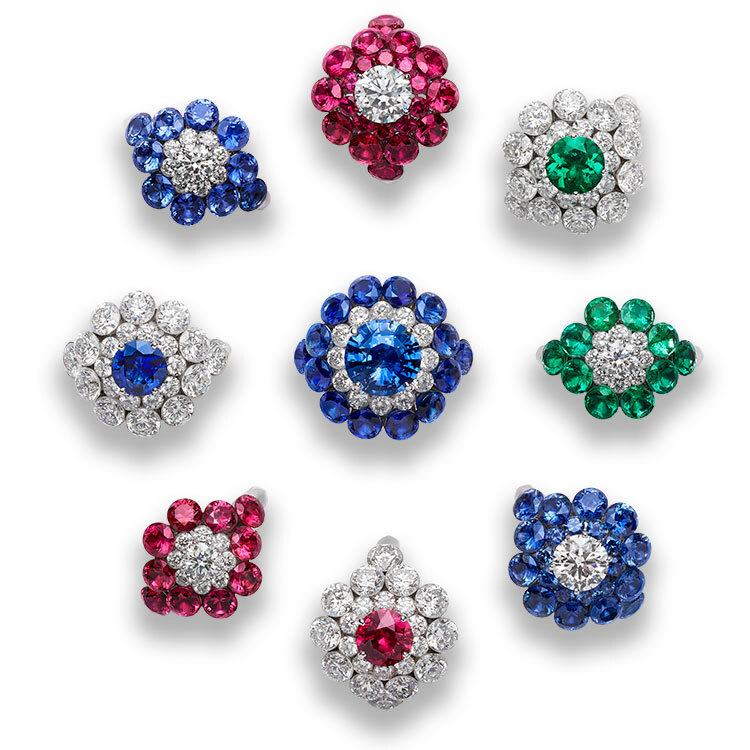 Classically elegant in its color composition as well as its design, the collection offers a choice of jewels set in white diamonds, sapphires, rubies and emeralds. Each cluster is centered on a significant single stone and encircled throughout with unusually large stones, giving the classic design an unexpected edge of bold modernity. 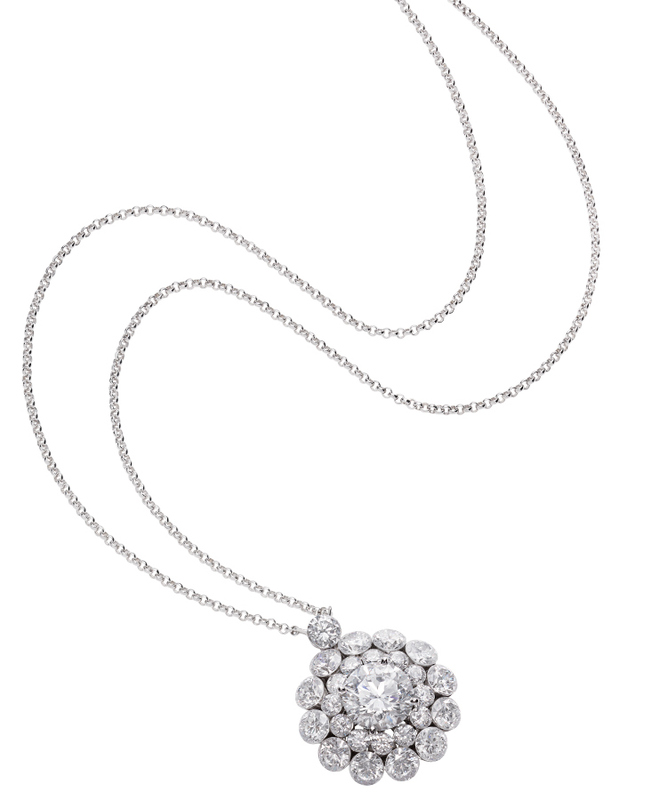 The dramatic light show performed by the jewels is achieved by an innovative setting technique, painstakingly developed by Chopard’s master artisans, and inspired by Caroline Scheufele’s long-cherished dream of intensifying the life and light of a gemstone, and enhancing the presence and personality of the jewel. For many years, Caroline Scheufele nurtured a dream: to make settings disappear, to give gemstones the power to shine, unadulterated, to unlock the full force of their brilliance and enhance their otherworldliness. She challenged her craftsmen, who shook their heads, saying her ideas were too complicated and impossible to achieve. Indomitable and restlessly curious, she was undaunted in her tireless quest for continual innovation and inspiration. 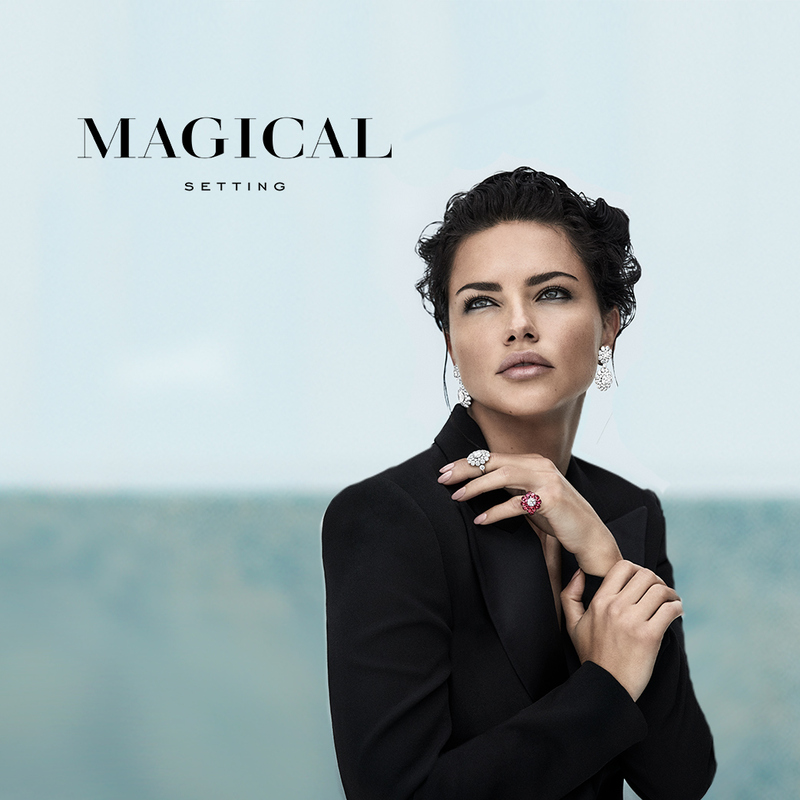 Now, with Chopard Magical Setting, her creative vision is brought to life. Her dedicated artisans have tapped into today’s cutting-edge technology, combining it with age-old craft skills to create a new generation contemporary classic: jewels of sensational, seductive luster, jewels to scintillate and fascinate, jewels to set the spirit free.